Smartphones are the big boy's toy nowadays. It seems no one can live without it, and why they should be? Global giants such as Samsung, Apple, Nokia, and Google have already flooded their devices with top-notch hardware and latest operating system. If you want to buy a smartphone which is cheaper yet with great specs, we will always advise you for some of the rough and tough options. If you are from India don't miss these top selling budget smartphone list. This list is always updated with current and latest trend. If you are looking for the latest Android device which has most of the common features yet with less price compared to those high end branded devices, here are some cool options. This year other great brands such as Xiaomi, Lenovo did a pretty excellent job and took decent shares in the smartphone industry. Below are some of the great in-budget quad-core android smartphones to look for. 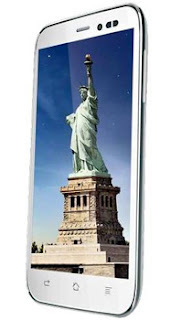 Q700 is Lava's first Quad Core smartphone with Dual SIM facility. This is world's first multi-profile android device from Lava. You can make as much as four profiles with different settings. Its 4.5 Inch qHD IPS display (540x960p) looks stunning and has OGS- One Glass Solution technology. 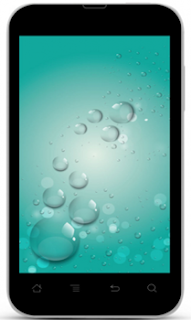 It sports 1.2 GHz Quad core processor with enough 1GB RAM. It has great connectivity features including GPRS, EDGE, WAP, 3G, Wi-Fi and Bluetooth. 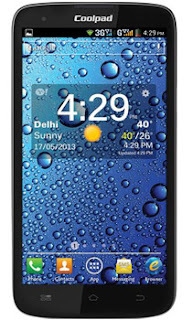 It runs on latest Android 4.2 Jelly Bean OS and has 4GB Internal Memory. MicroSD supports up to 32GB. The phone has enough 2400 mAh battery support and weighs only 151g. It comes with app features such as Dedicated Kids Mode, Work Profile, Xolo Secure, Multi-task and USB OTG. The phone has great 5Mp Camera with Autofocus and LED Flash. It also has 0.3 Mp front facing a camera. 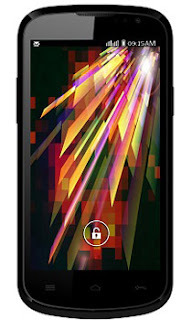 Karbonn's Titanium S5 has superb quad-core processor again at a much lower price tag. This phone is in direct competition with Micromax's Canvas HD. Looking at the specs and display quality phone is worth buying at current cost. The phone has 5 Inch qHD IPS capacitive touch screen. The phone is equipped with 1.2 GHz quad-core processor with 1 GB RAM. It has 8 Mp primary camera and 2 Mp front facing one. With 4GB Internal Memory and microSD support, up to 32 GB phone have enough storage options. S5 has enough 2000 mAh battery support. Buy Factor: Superb display and top specs at the lowest price tag. One of the superb flagship quad-core smartphone from Lava. 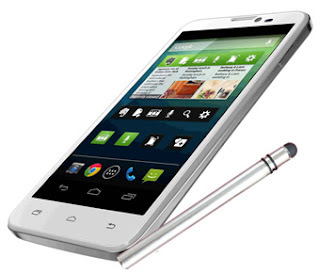 Lava's Xolo 800 has quite expensive look. It’s certainly a great in-budget smartphone in India. 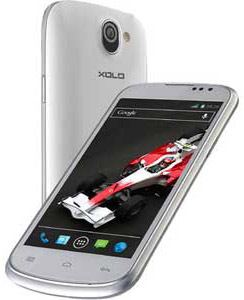 In the series of SoC low-cost quad core processors, Xolo 800 is one of the best phones after Canvas HD A116 phone. The phone comes with 4.5 Inch IPS LCD Capacitive Display with 960x540p resolution and 245ppi pixel density. It runs on latest Android 4.1.2 Jelly Bean operating system. It sports 1.2 GHz Quad core Cortex A7 Processor with enough 1 GB RAM. It has 8 Mp Primary camera with BSI sensor, Autofocus and LED Flash. It can nicely record videos at 720p resolution. Connectivity options are great with 2G, 3G HSDPA 21 Mbps, Wi-Fi, Wi-Fi Direct, Bluetooth 4.0 and USB 2.0. It has 4GB Internal Memory which can be expanded up to 32 GB with the microSD slot. It has Mini Dual SIM slots. Phones are just 9.6mm thick and weigh only 144g. Its 2100 mAh Li-Ion battery is enough to take full day load. Buy Factor: Great quad-core smartphone at a low price, Xolo Q800 beats Galaxy S3 in performance, Scrollable notifications available- even absent in high-end phones, an excellent file manager. Cons: Simple design, No SD card with a package, Heat issues. Spice in partnership with Chinese OEM Coolpad comes with great quad core phone in a budget. The phone features 3G+2G SIM facility with great overall specs. The phone comes with 4.5 Inch qHD TFT LCD Display with 960x540p resolution. It runs on 1.2 GHz Quad Core Processor and enough 1GB RAM. It has 5 Mp Primary Camera, Autofocus and LED Flash. It works on latest Android 4.1 Jelly Bean OS. It has 4GB of Internal storage which is expandable up to 32GB with a microSD slot. Connectivity options are great with 3G HSPA, Wi-Fi with hotspot, Bluetooth, GPS, A-GPS, microUSB 2.0. The phone is just 10.5 mm Thick. The phone has enough 1700 mAh battery support. The phone is Dual-SIM (3G+2G) enabled. Buy Factor: Great quad-core smartphone, competing with Xolo Q700, Intex Aqua Wonder phones. Cons: No Front Facing Camera, In comparison Xolo Q700 is better. Great phone from Lava in an Indian market. With decent specs, quad core processor, and a 4.5 Inch display, a smartphone does pretty well in the market. Surely a great choice instead of going for high-priced big brands. Iris 458q is one of the best affordable smartphones in India. This is Lava's first quad-core smartphone. The phone has stunning 4.5 Inch IPS LCD FWVGA Capacitive Display with 480x854p resolution. It runs on 1.2 GHz Quad Core processor with low 512 MB RAM. Phone works on latest Android 4.2 Jelly Bean OS. The phone has 8 MP Primary Camera, LED Flash, HD Recording, 0.3 Mp Front Facing camera. It has dual SIM support. GPS, A-GPS. The phone comes with 4 GB Internal Memory, expandable up to 32 GB with a microSD slot. The phone is just 11.9mm Thick and has enough 2000 mAh Li-Ion Battery pack. Buy Factor: Low cost better specs with a quad-core processor, SIM has GSM and CDMA support, big battery. Cons: Less RAM, Low camera quality. 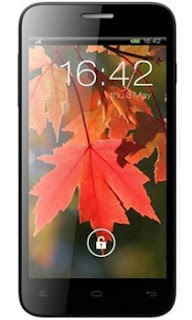 Xolo Q600 is 4th Quad Core smartphone from the company in Q-core series. The phone has good specs at a very low price tag. It runs on 1.2 GHz quad core processor with enough 512 MB RAM. The device features 5 finger touch gestures. Looking at a spec sheet Q600 becomes a favorite choice among many. It comes with preloaded Xolo secure app to track the device in case of theft. Q600 has beautiful 4.5 Inch TFT FWVGA Capacitive Display with 854x480p resolution and attractive 217ppi image density. Phone sports 1.2 GHz Quad Core processor with lower 512 MB RAM. It has powerful PowerVR SGX 544 Graphics chip. The phone has 5 Mp Primary Camera, Autofocus, 4x zoom and 0.3 Mp Front Facing camera. Connectivity options include 2G/3G, Wi-Fi, GPS, Bluetooth 3.0, microUSB. The phone has cool features such as Google Play Supported, Mobile Tracker App, Swype Faster, Multi-tasking, HD Video and has enough 2000 mAh battery pack. Buy Factor: Great brand at low cost, Quad Core Dual SIM smartphone at low price tag. Spice with Chinese firm Coolpad recently launched Mi-515 device. It has bigger display compared to the Mi-496 device. The phone has attractive features at the average price. A phone has big crispy 5 Inch IPS qHD Capacitive Display with 540x960p resolution and 220ppi (Quasi HD) image density. Phone sports 1.2 GHz Quad Core processor with enough 1GB RAM. It comes with 4GB Internal Memory which is expandable up to 32GB with microSD. The phone has latest Android 4.1 Jelly Bean OS. Spice Coolpad Mi-515 has 5Mp Primary Camera, Autofocus, LED Flash and 0.3 MP Front Facing one. Again connectivity options are great with 3G, 2G, GSM, HADPA, EDGE, HSUPA, microUSB 2.0. The phone is just 9.9mm Thick and weights only 161g. Other features include GPS, A-GPS, Google Maps and DTS Sound. Preloaded apps include NQ Antivirus, Chrome, Facebook, TOI news app, SpiceGang, WhatsApp, Twitter, and Nimbuzz. The phone has enough 2000 mAh Li-Po battery support. One of the best choice for Micromax devices. At a lucrative price tag and almost top-notch specifications, Titanium S1 looks very strong in Indian Market. The device has good screen resolution but not Full HD. The phone has excellent connectivity features and overall built. The phone has a premium feel and comes in an attractive package. It is Dual SIM enabled. The phone has pretty decent 4.5 Inch IPS Display with 540x960p resolution. It sports 1.2 GHz Quad Core processor with enough 1GB RAM. It has latest Android 4.1 Jelly Bean OS. The phone has enough 4GB Internal Memory and expandable up to 32GB with the microSD slot. Its 5 Mp Primary Camera is enough to take great shots. It also has VGA Front Facing camera. Connectivity options include GPRS/EDGE, Wi-Fi, Wi-Fi hotspot tethering, Bluetooth, GPS, USB. The phone has enough 1600 mAh Li-Ion battery support. Great update over the previous device. Karbonn's flagship Titanium S2 is again the best deal with cool specs. Probably among the best choices for quad core smartphone. The phone has 5 Inch TFT display with 854x480p resolution and 195ppi image density. Phone works on 1.2 GHz Quad Core Cortex A9 Processor and enough 1GB RAM. It has great 8 MP Primary Camera, Autofocus and LED Flash. It can record 720p videos. It also has 2 MP Front Facing camera. The phone runs on latest Android 4.1 Jelly Bean OS. The phone has two micro SIM enabled. The phone has enough 4GB Internal Memory, expandable up to 32GB with a microSD slot. Connectivity options include 2G, 3G HSPDA, Wi-Fi, Wi-Fi hotspot, Bluetooth 4.0, microUSB 2.0, GPS, A-GPS and GLONASS. The phone comes with enough 2100 mAh Li-Ion battery support. Buy Factor: Great Specs and Quad core processor. 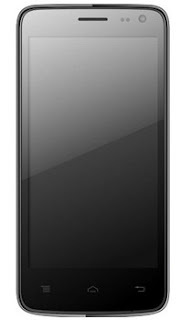 This is Micromax's biggest display smartphone in the market. One of the cheapest phablet available currently. The phone is stylus enabled. 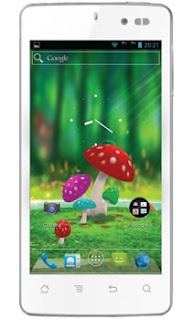 A111 Canvas Doodle is in-budget Note series device in an Indian market. The phone has attractive 5.3 Inch Capacitive Display with poor 480x854p resolution and merely an 185ppi density. It sports 1.2 GHz Quad Core Processor with again lower 512 RAM. Phone works on latest Android 4.1.2 Jelly Bean OS. It has 4 GB Internal Memory and expandable up to 32 GB with a microSD slot. The phone has great 8 MP Primary Camera with Autofocus, Dual LED Flash. It also has 2 MP Front Facing camera. The phone comes with stylus function. At just 9.7mm thick and 168g weight phone has a premium feel. It has enough 2100 mAh Li-Ion battery support. It is Dual SIM enabled. 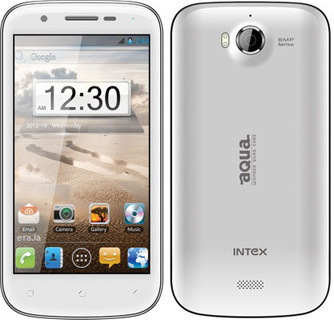 Intex Aqua wonder comes with big display size, quad core processor, enough camera options and Dual SIM facility. It has great connectivity options. Overall excellent features and built. The phone has 4.5 Inch qHD IPS Capacitive Display with 540x960p resolution. 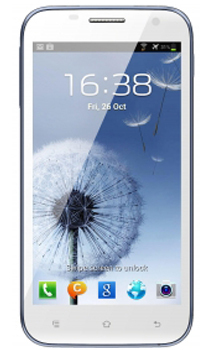 It sports 1 GHz MediaTek MT6589 Quad-Core processor with low 512MB RAM. The phone has Android 4.1.2 Jelly Bean OS. It has 8Mp Camera and 2Mp front facing one. It has 4GB Internal Storage and expandable up to 32GB with a microSD slot. Connectivity options are great with 3G, EDGE, Wi-Fi, GPS, Bluetooth 4.0, A2DP. The phone has enough 1800 mAh battery support. Preloaded apps include Facebook, WhatsApp, Gmail, Nimbuzz, Google Maps, Youtube, FM and Multimedia Players. Swingtel is a recent Indian manufacturer and came up with a tough device. Swingtel TigerTab provides pretty decent specifications at a budget price. With excellent 4.7 Inch Display and almost over 200ppi density, this becomes a quality device. Powered by 1.2 GHz Quad Core processor and enough 1GB RAM phone is capable of taking a full working load. The phone has great built and comes with metal finish. Comparing current prices and available options, Swingtel TigerTab is a strong buy choice. The phone has huge 2050 mAh Li-Ion battery pack and good connectivity options. Phone specs are full with positive specs which are enough for routine customers. Not a hi-tech gadget but also not a cheap a cheap device. Its spec includes 4.7 Inch Capacitive Display with 800x480p resolution. It is Multi-Touch super view display. The phone has Android 4.2.2 Jelly Bean OS. It has 5 MP Primary Camera with 1.9 Mp Front facing one. It has 4 GB Internal memory and expandable up to 64GB with a microSD slot. The phone is Dual SIM enabled with 3G and GSM. Connectivity options are great with 2G, 3G, WLAN, Wi-Fi, Wi-Fi hotspot, Bluetooth 4.0, microUSB 2.0, GPS, A-GPS, and Tethering. The phone is just 10.2mm Thick and weighs only 174g. It has bigger 2050 mAh Li-Ion battery support. Colors: Sporty Red Finish, Addition 2 back covers. 14 Hrs 2G, 9 Hrs 3G of talk time support. 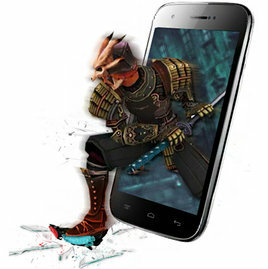 Buy Factor: Excellent Display and specs at cost, one of the best Quad-core smartphone choice. 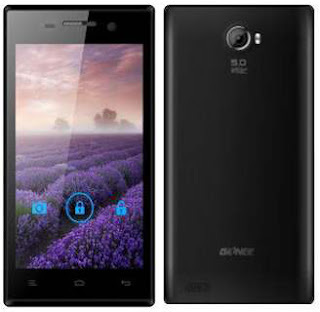 Gionee is Chinese manufacturer recently launched CTRL V4 quad-core smartphone in Indian market. Specifications are good but RAM is not enough at a competition. The phone comes with pretty decent overall built and display quality. The phone has 4.5 Inch LCD Capacitive Display with 480x854p resolution. 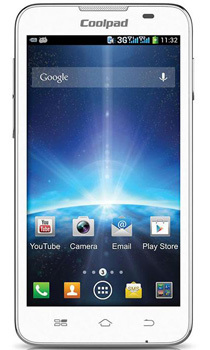 Powered by 1.2 GHz Cortex A7 Quad core processor and lower 512MB RAM phone competes at average. It has 4 GB Internal Memory and expandable up to 32GB with a microSD slot. It runs on latest Android 4.2 Jelly Bean OS. The phone has 5 Mp Primary Camera, VGA Front Facing. Connectivity option includes Wi-Fi, Wi-Fi hotspot, GPS, Bluetooth 4.0, microUSB, FM. It is Dual SIM enabled. The phone comes with free 8GB Memory Card. It has good 1800 mAh battery support. Buy Factor: Better price quad-core smartphone, Pretty well display, Best 4th Gen Mediatek processor for battery saving and excellent 3G connectivity. 5 Inch 1080p Retina Display, 1.5 GHz quad-core processor, 2GB RAM, 13Mp Primary Camera, 5Mp Front Facing, 8mm Thick., 2000 mAh Battery. One of the few 3D enabled phones in the market at low price tag. Micromax has reputation for quality devices at a low price in India. The phone has a pretty attractive big display; it is 5 Inch TFT Display with 3D Technology with a 480x800p resolution and 187ppi image density. The phone runs on 1 GHz Dual Core Processor and lower 512MB RAM. The phone has Android 4.1.2 Jelly Bean operating system. It has 5Mp Primary Camera and VGA front facing one. The phone comes with 4GB Internal storage and expandable up to 32GB with the microSD slot. Connectivity options are great with 3G, HSDPA, HSUPA, Wi-Fi and Wi-Fi Hotspot. The phone has enough 2000 mAh Li-Ion battery support. 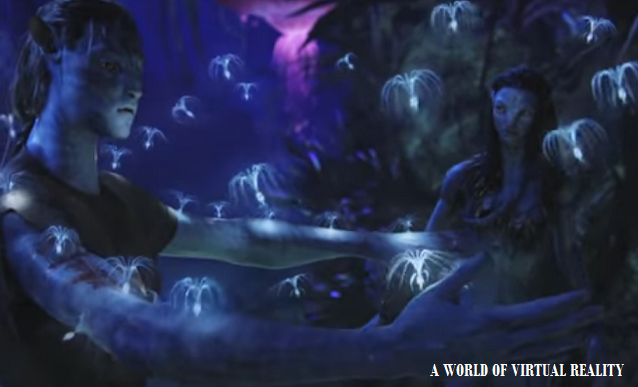 Buy Factor: In-budget 3D phablet, Experience 3D video effects without 3D Glasses, 3D Games, Convert camera images into 3D ones. Cons: Battery isn't just enough. Prolong usage for entertainment drains battery faster. Karbonn came early in mid-range smartphones market in India. With decent specifications and excellent built quality Karbonn attracted many customers. In price competition Karbonn devices take attention. With ongoing price reduction, Karbonn A21 device is still in the competition. A21 has eye catching 4.5 Inch TFT Capacitive Display with 480x800p decent resolution and great 207ppi density. The phone is powered by 1.2 GHz dual-core processor (ARM Cortex A5) and lower 512 MB Ram. The phone has 4GB Internal Memory and expandable up to 32GB with a microSD card. It works on latest Android 4 ICS OS which is upgradable to 4.1. The phone has 5 Mp Primary Camera with 1.3 Mp front facing one. Connectivity options are great with GPRS, EDGE, HSDPA, Wi-Fi, Wi-Fi hotspot, microUSB 2.0, Bluetooth 2.1 with A2DP, WAP, GPS, and A-GPS. The phone has enough 1800 mAh Li-Ion battery support. It is Mini Dual SIM enabled phone. Sony's efforts to attract mid-range customers. Xperia E dual is an affordable Dual SIM phone with nice specs. Once again a low budget smartphone from a big brand. 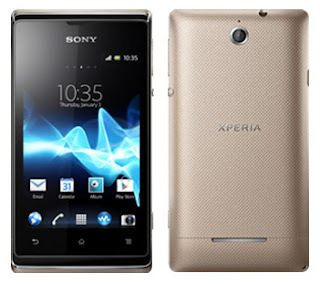 Xperia E Dual is certainly better than its predecessor Xperia E tipo Dual with a large display and updated specs. With mere 3.5 Inch TFT display, the phone actually doesn't fit in today's competition, but considering a good device from Sony, it would be a durable choice. The phone has just 3.15 Mp Camera. Connectivity features are great with EDGE/GPRS/HSUPA/HSDPA, Wi-Fi, Wi-Fi Hotspot, DLNA, Bluetooth 2.1, microUSB 2.0 tethering, Portable hotspot. Other features include Xloud Technology, 3D surround effects, Crystal Clear sound, GPS. The phone has enough 1530 mAh Li-Ion battery pack. Buy Factor: Cool handy smartphone form Sony, LED capacitive buttons, Satisfactory performance, Great Battery life, "True Technology you can't help but Appreciate"